It took me so long to finally splurge on these babies and I am so glad I did. I have listened to so many people rave about the Becca Shimmering Skin Perfector liquid and powder so when it came time to choose, I just had to have both! As a liquid, this is certainly the most versatile of the two. I often mix this with my foundation (about one part to two parts foundation) to give my skin a really beautiful glow. It also does really well worn alone on the high points of the face or over foundation. I do find that it doesn't last as long as the powder but if I set it well with a touch of setting powder and setting spray it does a decent job of lasting through the day. I really love the bright champagne tone that works beautifully with my pale skin and looks really natural. It has the finest shimmer and is really good for that wet sort of highlighter look that doesn't really look shimmery or glittery. If you have never tried a liquid highlighter, its definitely something worth experimenting with if you are really into the all over glow. I actually went to a demo by celebrity makeup artist Max May and he used this on his model. I even chatted to him afterwards and he let me swatch his and I ordered it that very night! I love this because it is that gorgeous bright champagne colour but it is less intense than something like The Balm Mary Loumanizer so it gives a more subtle highlight. That said though it can certainly be built up for a full impact strobe effect. Basically I have loved it from the moment I got it. It applies beautifully, blends like a dream and is the perfect shade for my skin. The Shimmering Skin Perfectors also come in a ton of great colours, like the cult favourite rose gold Opal shade. The finely milled powder truly is gorgeous and ranks at the top of my favourite highlighter list alongside my Charlotte Tilbury Bronze & Glow. Left to right: Becca Shimmering Skin Perfector Liquid in Moonstone, Becca Shimmering Skin Perfector Powder in Moonstone. If you are looking for an all over subtle glow I would recommend the liquid but if you like a punchy strobe kind of highlight I'd go with the powder. Basically, I love them both and use them regularly. I know they are a bit exxy but they are completely worth the splurge! Also, I would really recommend purchasing off Adore Beauty because they have free shipping on all orders and regular discounts of up to $10-$15 (the liquid is on sale for $50.82 right now). If you pick the right shade for your skin it is really the only one you will need in your life as long as you aren't like me and have a serious addiction to high end highlighters. 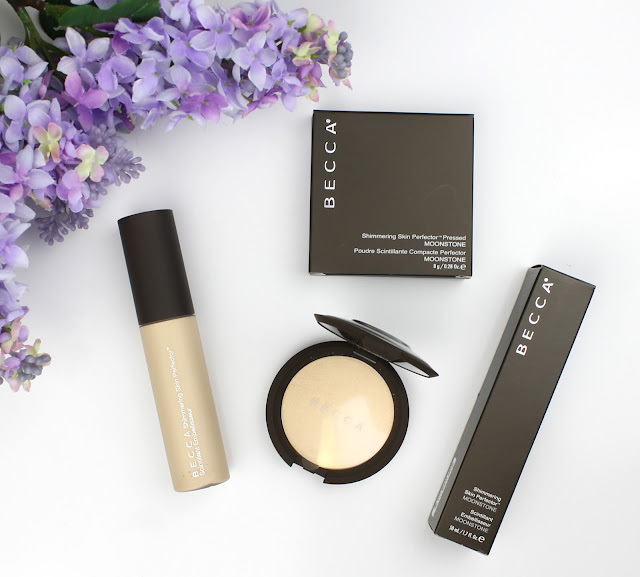 Have you tried any of the cult favourite Becca highlighters? Will you be ordering some after reading this? Let me know in the comments below. 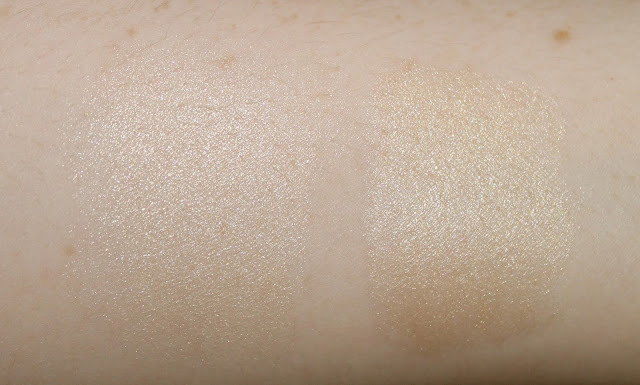 2 comments on "Becca Shimmering Skin Perfectors"
I have minis of some of the liquids and Champagne Pop and love them all! Opal is my favourite of the liquids, it gives such a beautiful, natural wet sheen to the cheeks! Champagne Pop is beyond gorgeous as well, definitely an intense highlighter though. Moonstone looks like a really beautiful subtle shade!